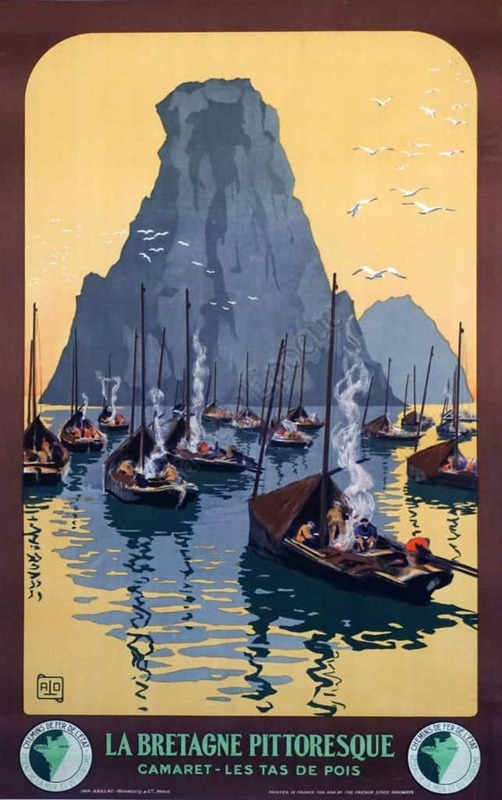 A railroad travel poster to Camaret, located in the Northwestern area of France, at the end of the Crozon Peninsula. Pictured is a group of fishermen in their boats during the nightime. Seagulls fly above them, probably resting on the mountain tops.